After the record-breaking Mega Millions lottery $1 billion dollar jackpot was finally won Tuesday, Oct. 23, 2018, the network morning newscasts offered extended coverage of the win Wednesday morning. 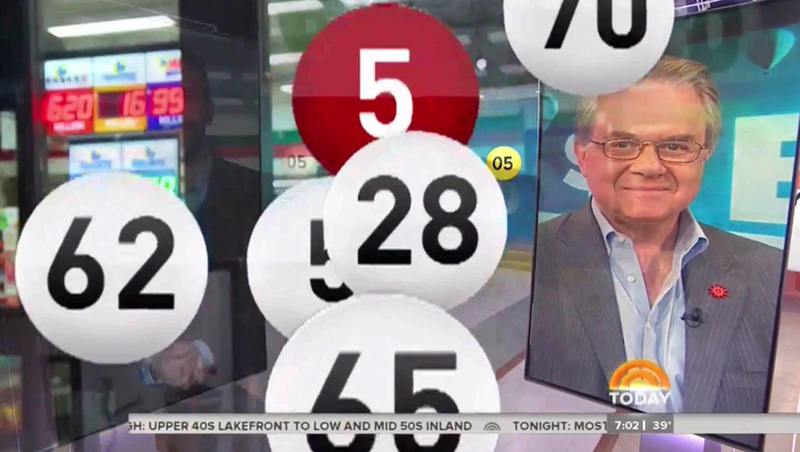 NBC’s “Today” used its large video wall to display the winning numbers on 3D balls before pulling out to reveal two live shots on the studio’s mobile vertical flat panels, before tossing to a live report from Joe Fryer complete with an animated wipe featuring white and red balls. 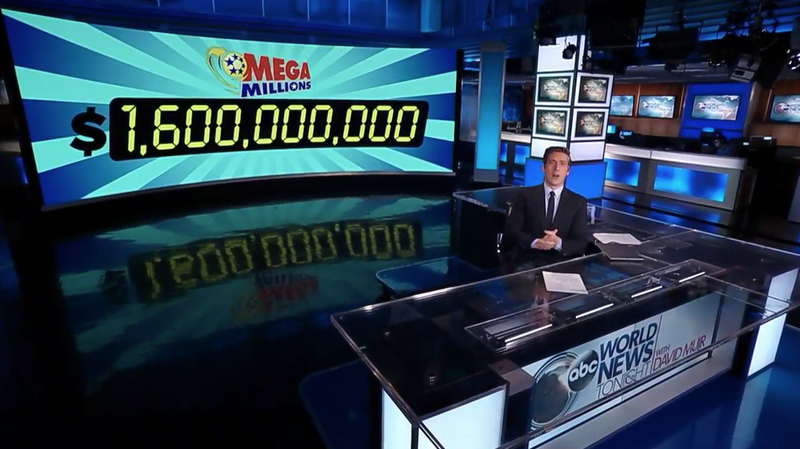 “Good Morning America” also showcased the winning numbers of its video wall before the handheld “video in video” shot turned into a “walk and wander” headed into the studio’s small video wall alcove. The night before, on ‘ABC World News Tonight,’ anchor David Muir sat in front of the studio’s large, curved video wall that was displaying the $1.6 billion figure in a digital readout font. Steve Osunsami, who was on the ground in South Carolina, where the winning ticket was sold, was shown on the alcove’s vertical panel. 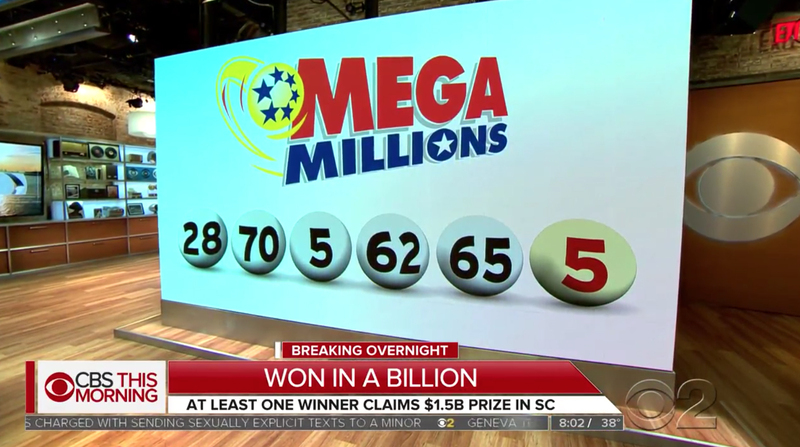 “CBS This Morning,” meanwhile, had the story in its “EyeOpener” segment and then also showcased the winning numbers on the studio’s large video wall, before the handheld shot panned over to another video array to remind viewers of another chance to win — with Powerball.